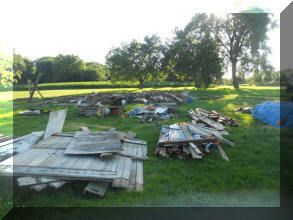 This all started because we wanted to have old barn siding on the storage barn we are building behind the Jipp. 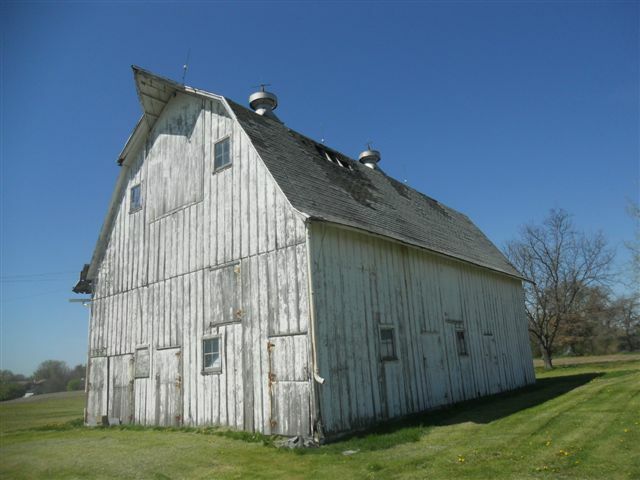 The plan is to use the siding from this barn for our new storage barn and sell the rest of the lumber to pay for the cost of buying the building ($2,500) and taking it down. 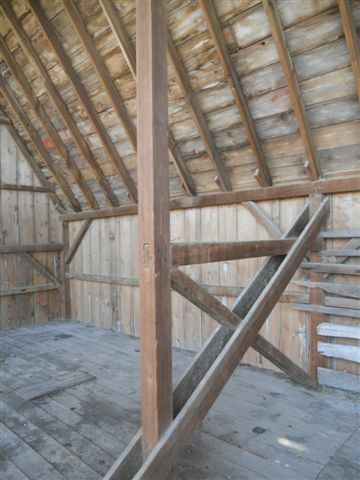 We will also have lots of lumber to build racking and shelves in the storage barn. 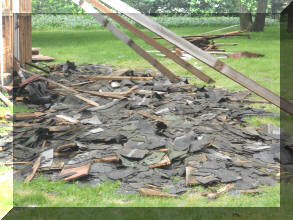 Hopefully we will be able to recycle as much as the wood as possible and keep it out of the landfill. My name is David Poppe. I live in Nenana, AK, but the rest of my family still lives in the QC area. 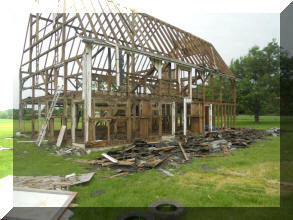 I grew up in that barn. 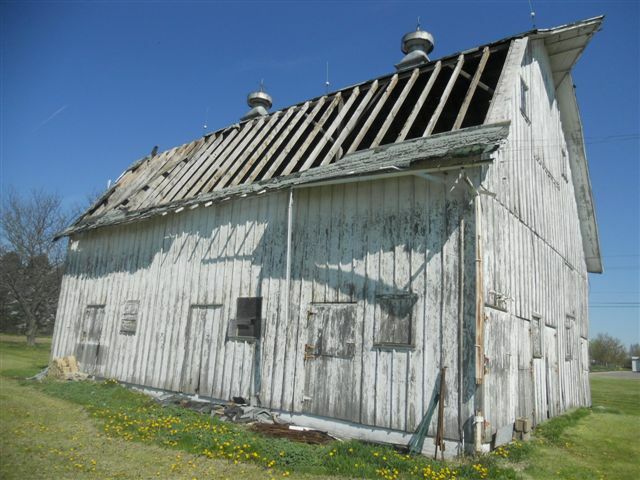 I was home in January of 2010, and stopped by to look at our old barn, and saw with the roof shingles starting to go missing, that our barn's days were numbered. I honestly grieved the thought. Ours was a working farm. I helped my Dad, Robert Poppe, milk up to 35 cows twice a day for at least 10 years while growing up. 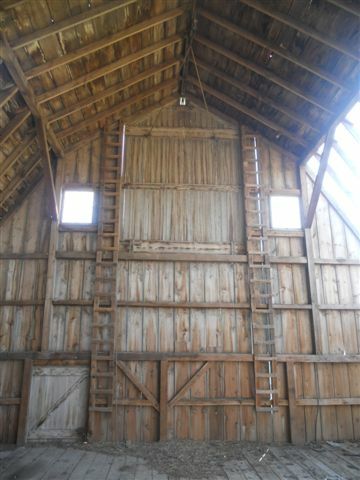 The barn is the heart of a farm, and this barn had a good, strong heart. 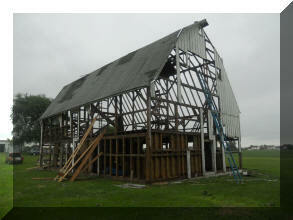 I am so glad to hear that you are salvaging our barn. 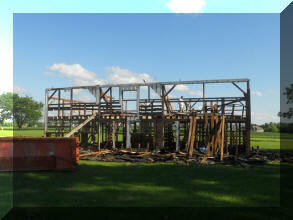 My biggest fear was that an excavator would have been brought in, and it would have ripped the barn apart. It deserves the best you can give it. 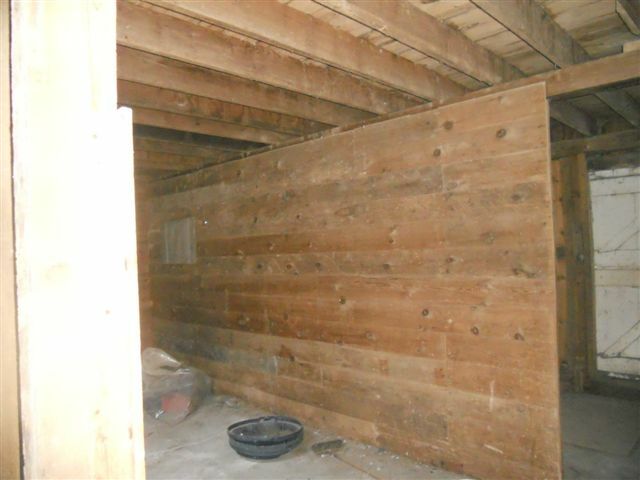 Know as you tear apart the beams, rafters, purlins, and joists, that my hand, and that of my Dad and brother, had been there many times before. The bullet holes in the cupola, my brother and I put there. I hope that adds some character. 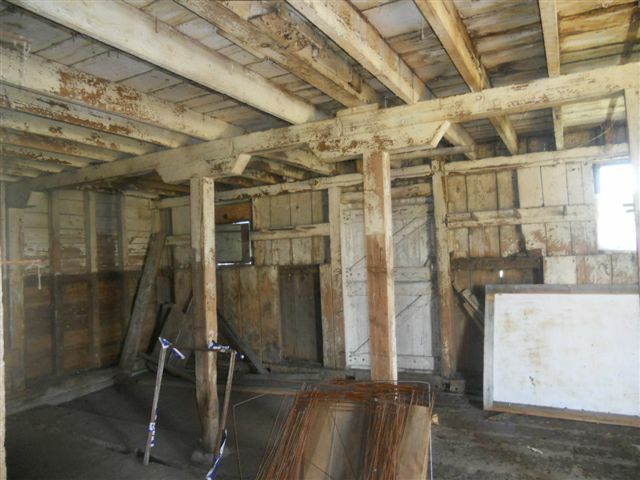 I know the last time I was in the barn was back in 1982-3, when my parents still lived on the farm……. In closing, thank you for your efforts. It makes the inevitable much more bearable. 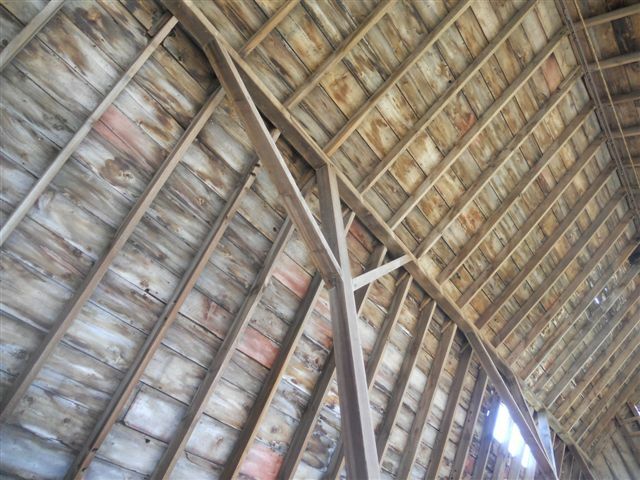 Depending on their size we might be able to use one of the metal copulas on our storage barn and maybe even 2 of the lightning rods. A long way up but lots of good lumber.